The truth about avoiders: you are not the only one looking for them. Avoiders have experience avoiding. To combat this, you must be prepared. Make sure you have been provided with an address, vehicle information, and family information (wife, children, significant others who share the residence), and any other information that could prove helpful. Review the information provided, verify the subject, review the data, determine what information to use for the skip trace, run it, and analyze the data. 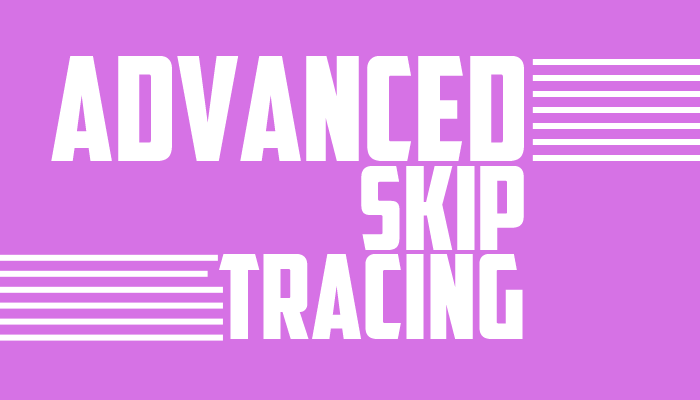 You can take a more in-depth look at these steps in The Art of Skip Tracing (the basics). Many states require individuals to provide proof of residency when renewing their vehicle registrations. The DMV will review pre-approved documents and cross-check them to ensure the data is accurate. Search using the spouse, children, or roommates from the last known address. These close relationships can provide leads as to where the individual is located, either living in the subject’s former or home or new address. Some people use their children’s SSN to qualify for their new residences. Phone numbers and email address can lead to friends they stay with, their employer, businesses they own, their current taxi driver, etc. People change email addresses often but are often time linked to social media accounts, employers, or even city. The email address can provide helpful clues and additional information. A postal search can take up to a week, sometimes more., but can reveal former, current, and new addresses (especially if they’ve recently moved). (It’s recommended that you don’t start with a postal search as it can take time). Multiple current addresses can mean they moved back into a foreclosed property they previously owned, they used an old address to pull credit, or if they’ve set up temporary mail forwarding. Sometimes a postal search returns no information or there is no current or new information in the database. If you find you can’t find any information on the individual, check jails. Sending someone to speak with the neighbors can get you information about who is living at the current address, where the subject moved to, and more. When approached correctly, neighbors will often be obliged to help, especially if you explain why you are there. Check criminal records or find their parole officer. If you can identify what address an individual was released to, or friends or family who bailed them out of jail. Find the current owner of a property (in case a forwarding address has been left behind). It can also give you a timeline of when the subject moved out. Most databases provide data, including date of birth, full SSN, date of birth, and driver’s license. Water, sewer, trash, internet, electric, and gas utilities are always changed when someone leaves and could reveal where the person is even if an address cannot be found. These tips were put together with experienced skip tracers. Have something to add? Add your tips in the comments below.